You're hitting the weights consistently, but just aren't seeing gains. What gives? 1) You aren't properly recovering. Muscles grow when you tear them down. After your workout, your body rushes to repair the muscle fibers that were torn and damaged, rebuilding them stronger than ever. Your rest days are when this restorative process takes place. If you skip the rest days, you will continue to break down those fibers without ever giving them a chance to grow stronger, which means no matter how much you are working out, you will get weaker. This process takes 24-48 hours, so your muscles need that much time to recoup. Most people will split muscle groups so they can give their muscles that rest time while still training on consecutive days, but be aware, even if you are giving your arms a break while you do leg day, your arms are still integral parts in lifts, even if they aren't the target. Full rest days are needed at least once a week to not only allow your muscles to grow stronger, but to avoid overuse injuries. 2) You aren't feeding your muscles. And what do you muscles want? Protein. Protein is the macronutrient responsible for providing your body what it needs to sustain existing muscle tissue, as well as grow more. By consuming an appropriate amount of the right kind of protein before training, you can increase performance and jump-start recovery, since your body will be in an anabolic state. 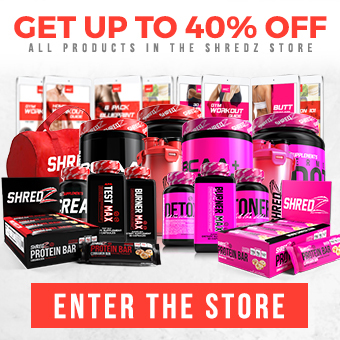 You can spread your protein intake pretty evenly throughout the day, but making sure to get some in with your preworkout meal is essential to preserve and grow more muscle. 3) Your routine is flawed. Your muscles thrive- and grow- under continued stress, but your body is so good at adapting, what was once stress quickly becomes no big deal. Strength training is progressive and if you aren't constantly challenging your muscles, they can't rise to the occasion. You have to provide adversity in order to overcome- just like in real life. This doesn't simply mean to add more weight, but also to change the type of training, the order of exercises and other variables like body positioning and rep ranges to keep setting the bar higher and those strength gains coming. Hate Cardio? 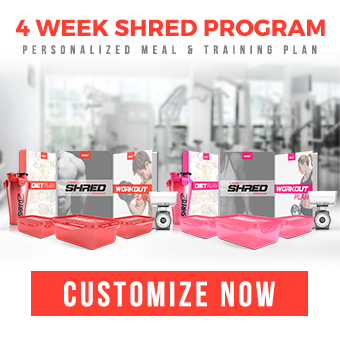 Get Shredded Without it!